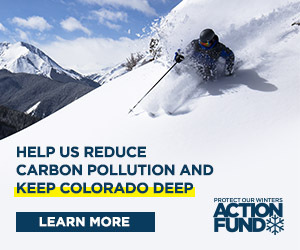 Local search and rescue (SAR) teams will receive $17,421.65 in grant funds from the Colorado Department of Local Affairs for new equipment purchases in 2015. The grant request was presented to Gunnison County commissioners on Tuesday, March 17, and county manager Matthew Birnie signed it without hesitation. Justifications for the funds, as listed in the grant request, include purchasing personal floatation devices and helmets to protect rescuers in rapid waters; carbon fiber oxygen tanks for Western State Search and Rescue (WSSAR) to limit the weight of rescue equipment, therefore decreasing the time it will take to reach victims; and a Cascade Litter wheel (a gurney with off-road capabilities) for West Elk Search and Rescue (WESAR) because much of their area is not accessible by ATV and victims may have to be carried for miles down rough terrain. Also listed in the request are new avalanche beacons for WESAR and WSSAR because both teams respond to areas remote from outside assistance and should be able to communicate with each other; additional medical supplies for Crested Butte SAR to provide extra care to victims who spend several hours being transported from backcountry incidents; and a generator and handheld radio for Western State’s Incident Command vehicle that responds to counties where there is no such vehicle. In 2014, SAR teams combined rescued two climbers, two hikers and one hunter within county limits. Three snowmobilers and three bicyclists were also rescued by SAR, as was the driver of a rolled Jeep in the backcountry.